Six students from Information Technology Study Program of Universitas Dian Nuswantoro (UDINUS) succeeded in creating a marketplace application in photography field called Trippot.id. The application will facilitate backpackers and couples who are looking for camera rentals for their wedding, vacation or even for visiting tourist attractions in Indonesia. The application offers several features such as camera rentals, photographer rentals and wedding photography rentals. The system is using the cooperation system. The six students used the knowledge they got from the university in the process of making the application. 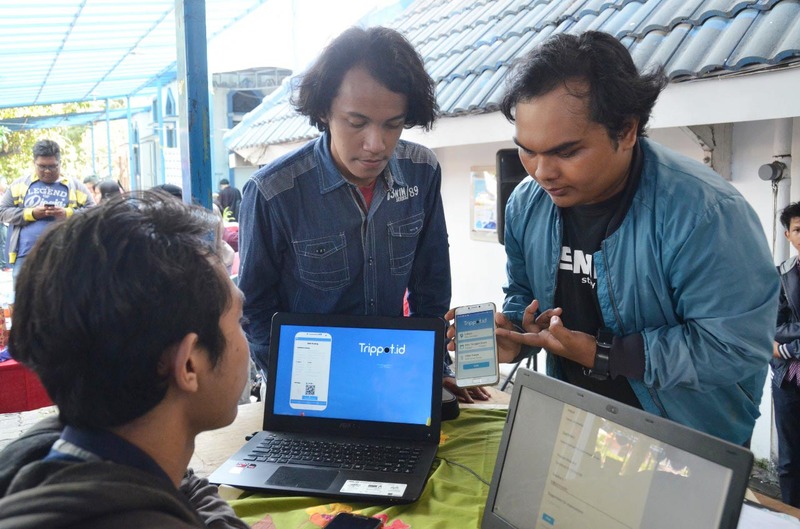 The application was created by six UDINUS’ students namely Adis Wing Kasenda, Muchamad Harib Bahtiar, Rio Naufal Rsyad, Kevin Indra Mahendra, Kun Amrin Amanu and Indrasurya Dewandaru. The application successfully won the second place at 'Creative Entrepreneur' event a few months ago at UDINUS. The chairman of Trippod.id application, Adis Wing Kasenda said that the idea of the application came from his occupation as conventional camera rental. According to him, the application has a very great opportunity because there are not much developers who make such application. "The idea is from what I've been doing this whole time. I was confused at first, but then I saw a great opportunity in photography, so we make this application. The support from UDINUS is great, "he said. Adis added that Trippod.id would always be developed and added new features that offer interesting features such as tourism and also hospitality in Indonesia. The application is still in the prototype stage and need more time for refinements before being officially published in the play store. "We will continue to develop it and we invite photography rental partners to join this application. Missing camera or anything else is the responsibility of the partners, but we urge the partners to match the identity of the users who will borrow the camera for the security, "he said. Adis targeted domestic and foreign tourists who visited Indonesia as the users of Trippod.id application. Trippot.id will help and facilitate backpackers who want to find hotel or even camera rental for documentation. "We hope this application could be a solution for backpackers who are looking for cheap hotels or looking for a camera rental," he hoped.